Rediscover Puffin Classics, bringing the best-loved classics to a new generation. New to Penguin Classics, the great underwater adventure story in a stunning clothbound edition with original images. 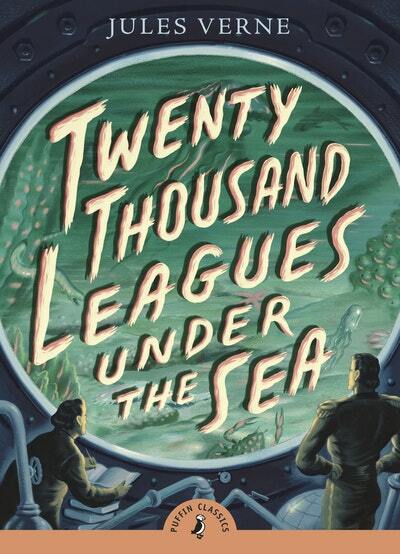 Jules Verne remains the most celebrated 19th-century writer of science fiction. This volume reprints his three most popular novels. It's science fiction from the masters of the genre! Special 3-D cover design PLUS each book comes with 3D glasses! One night Phileas Fogg bets his companions that he can travel across the world in just eighty days and the very next day sets out from the port of Dover with his servant Passeportout to achieve his aim. Be the first to find out about Jules Verne.